Controlling the temperature of food is extremely important in ensuring that food is safe to eat, food operators must ensure that food is always cooked, cooled, chilled or reheated properly to minimise the risk of foodborne illnesses. 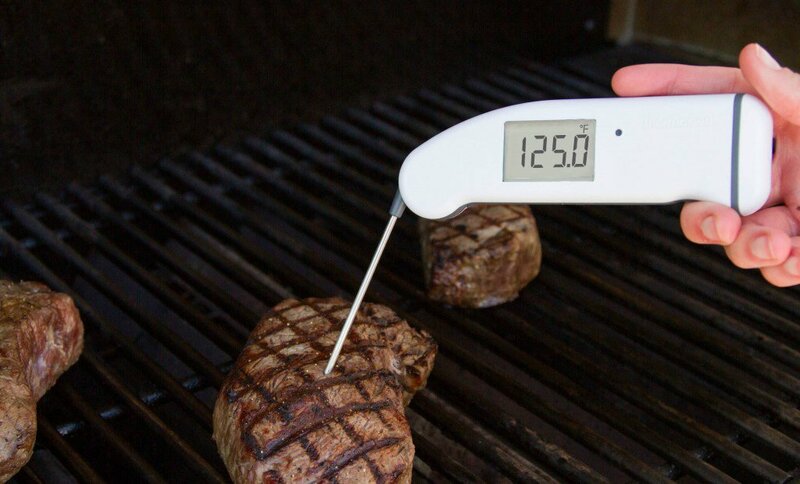 Food temperature is also important when cooking to a customer’s exact specification– there’s only a few degrees between a rare steak and a medium-rare steak, but the difference to customer satisfaction can be huge. Time is of the essence when monitoring food temperatures – a food probe that gives a fast temperature reading will help food operators and chefs make decisions based on accurate information. 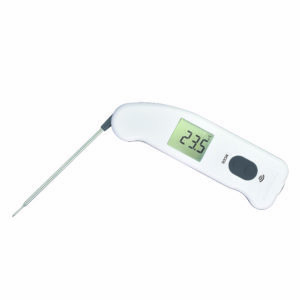 Bunzl Catering Supplies’ supplier, Electronic Temperature Instruments Ltd (ETI), is a digital thermometer manufacturer, producing digital thermometers, catering thermometers, moisture meters, pH meters, dataloggers and other related products. 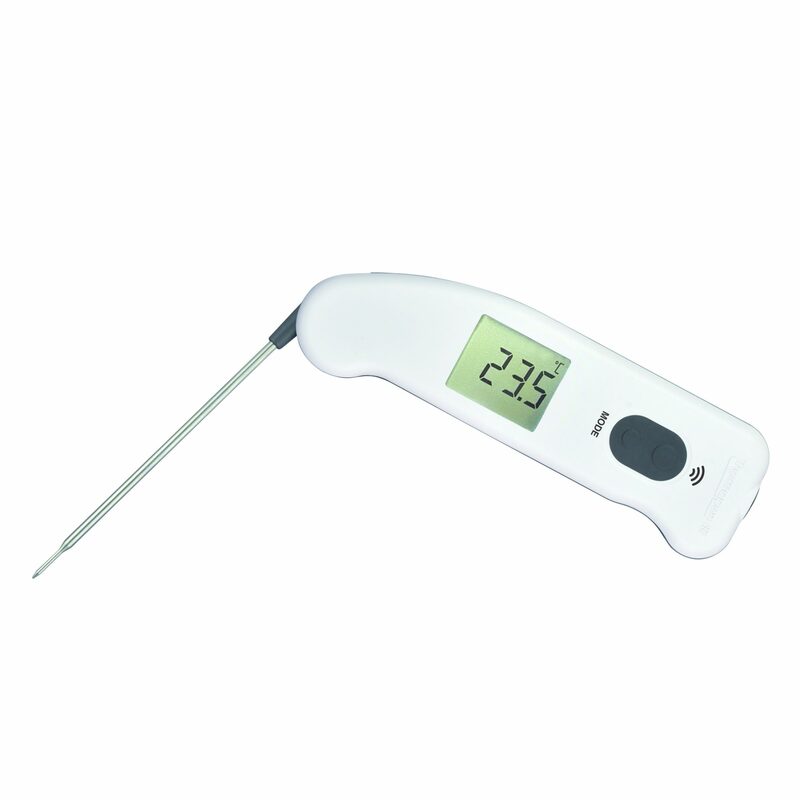 The new Thermapen IR, produced by ETI, combines the technology of the Thermapen and Raytemp 2. The result is an extremely competitively priced and well specified combination thermometer. 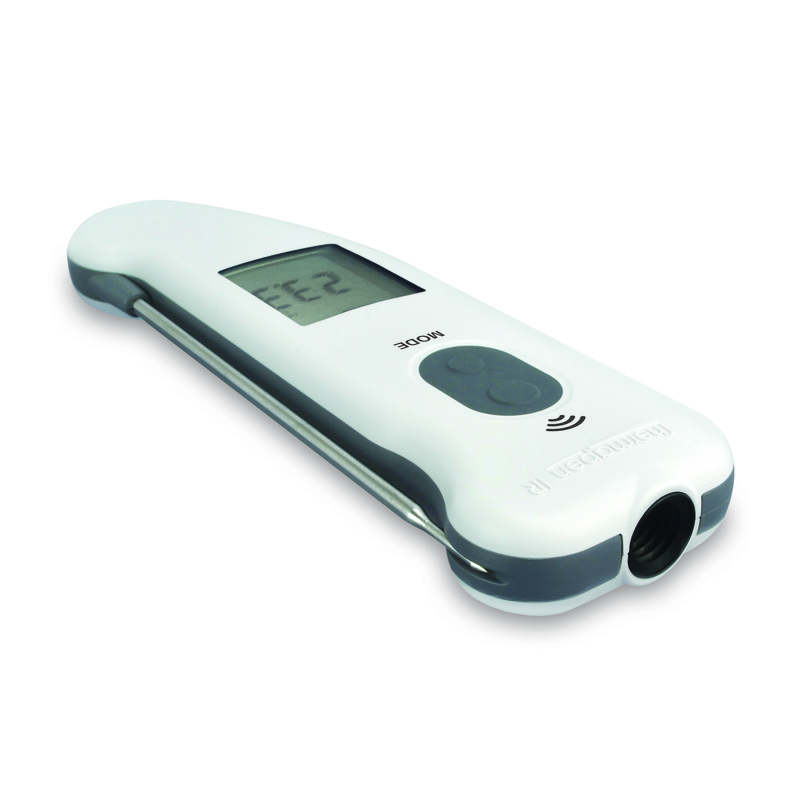 The benefits of the Thermapen remain: a 3-second response time, folding probe and Biomaster antimicrobial protection. The Raytemp 2 adds excellent accuracy of ±1°c over the critical food range and 5:1 optics. Operators also benefit from the free traceable calibration certificate for both probe and infra-red sensors at 2 temperature points. The Thermapen IR allows operators to use one instrument to conduct infra-red checks on multiple boxes at goods in without destructive probing and then moving into the production or service area to check core temperatures with the penetration probe. As the probe of the thermometer will be inserted into food, the probe must be cleaned and sanitised before it is used again. If the probe is not cleaned, food poisoning bacteria may be transferred from one food to another food. 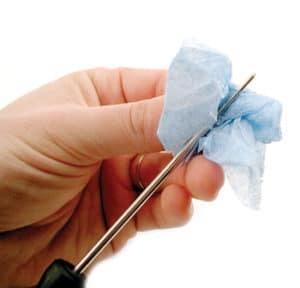 Probe wipes can be used to clean the Thermapen IR (ask for more information about our range of Cleanline probe wipes). Wiping the probe of a thermometer clean before and after each measurement will significantly reduce the risk of cross-contamination. For more information on the Thermapen IR and Cleanline probe wipes – please contact your local Bunzl Catering Supplies branch.